With a slight lull in the action for the major sports leagues, Talk Back hosts Eric Nesbit and Justin Gay dig into the merits and potential problems with daily fantasy sports, specifically DraftKings, and how it plays into the sports market as a whole. In the lightning round, find out what sport your hosts would play if they were professional athletes. 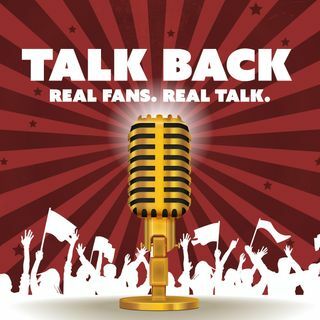 Follow @TalkBackFanTalk on Twitter for updates and info about future shows, and submit your questions for future podcasts.